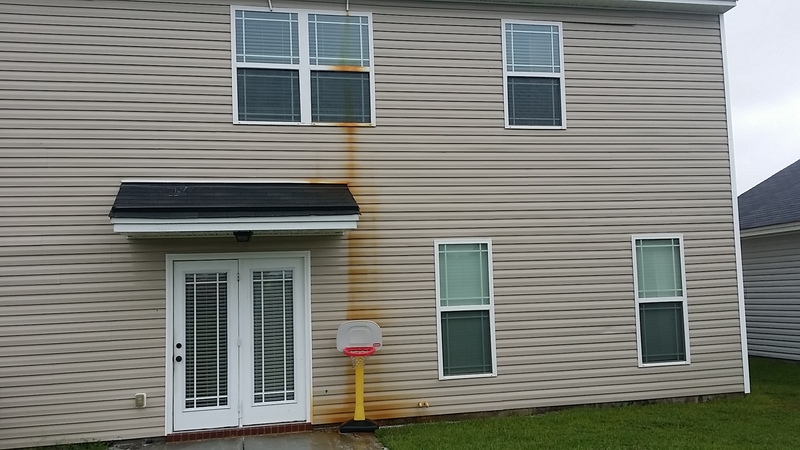 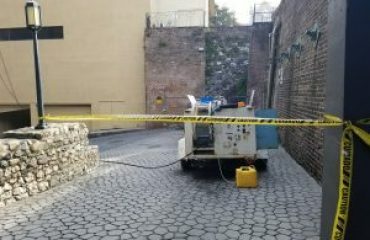 Chatham Property Maintenance offers professional rust stain removal services to residents of the Pooler, Georgia area. 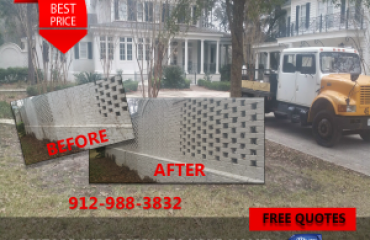 Rust stain removal is not included in our normal softwashing low pressure cleaning service, but is refereed to as a specialty service. 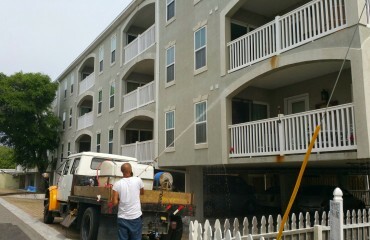 We safely remove rust stains from vinyl siding, concrete, bricks, and plastics. 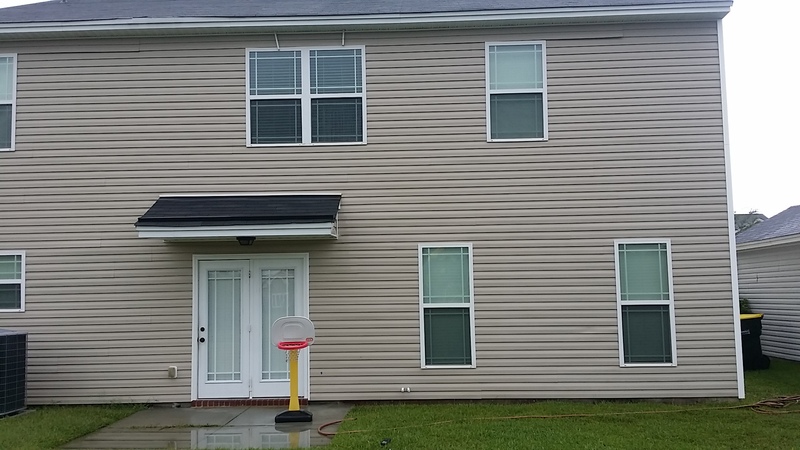 This soft washing low pressure cleaning process we removed rust stains from a two story vinyl siding home located in Pooler, Georgia. 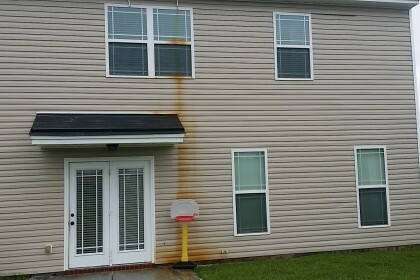 The air conditioner drain located in the attic of the Pooler, Georgia home caused the rust stains on the vinyl siding.